Ho Ho Ho! 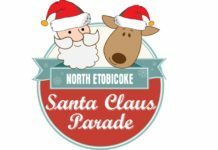 Santa Claus is coming to Etobicoke and he’s bringing the Lakeshore Christmas Santa Claus Parade with him! 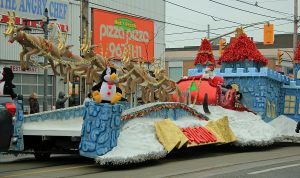 The Etobicoke Lakeshore Christmas Santa Claus Parade is in its 28th year and it has been growing bigger ever year since 1991. The parade runs along Lake Shore Boulevard (obviously) between Dwight Avenue and Thirty Sixth Street. 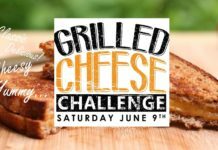 Estimates put viewership at approximately 50,000 which is nothing to sneeze at. Kids and adults alike brave the slightly colder weather for a glimpse of ole Saint Nick. Most fight the colder weather by dressing warmly and bringing hot chocolate in a thermos. 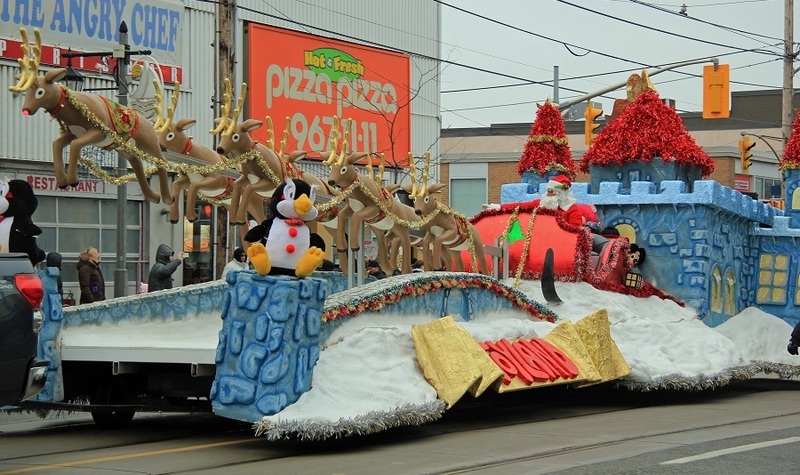 Put on by the Lakeshore Village BIA and the Longbranch Village BIA, they take pride in the fact that the Etobicoke Lakeshore Santa Claus Parade is ranked as the 4th best in Ontario. Highlights of the parade this year will be the addition of a Madhatter Tea Party float along with favourites Smurfs, Snow White, Cinderella, the Flintstones, The Grinch, and many more. In addition to the floats there will be marching bands, assorted clowns, and Santa Claus himself. Not only that, there is a public skate after the parade at Sam Smith Park begninning at 1230pm. If there’s one Christmas tradition we will never get tired of it’s the Etobicoke Lakeshore Christmas parade. If you’re taking in the Lakeshore Santa Claus Parade here are some tips. There is plenty of parking at the various lots in and around Lakeshore Boulevard West. If parking on a side street make note of the parking times. There are also plenty of coffee shops along the parade route for your hot chocolate or coffee needs. Consider grabbing lunch in one of the many area’s great restaurants and make an afternoon out of the event. So bundle up the kids and come on out to The Etobicoke Lakeshore Santa Claus Parade. It’s bound to be a great day! Previous articleEtobicoke’s Joey Votto is the National League’s MVP! I would like to know how I can get our Leonardo Da Vinci Academy Students part of the Santa Clause Parade next year? 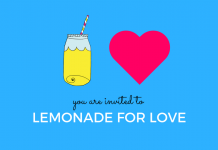 I have forwarded your email to the parade organizers. I was wondering if I could participate in this years parade. You’ll have to contact the Longbranch BIA but we just noticed that the website is down. You can try contacting the Lakeshore village BIA. Their link is in the article.